Minecraft Xbox 360 | Seeds, Achievements & Tutorials! Minecraft Xbox 360 Edition Seeds, Achievements & Tutorials! What is Minecraft for Xbox 360? 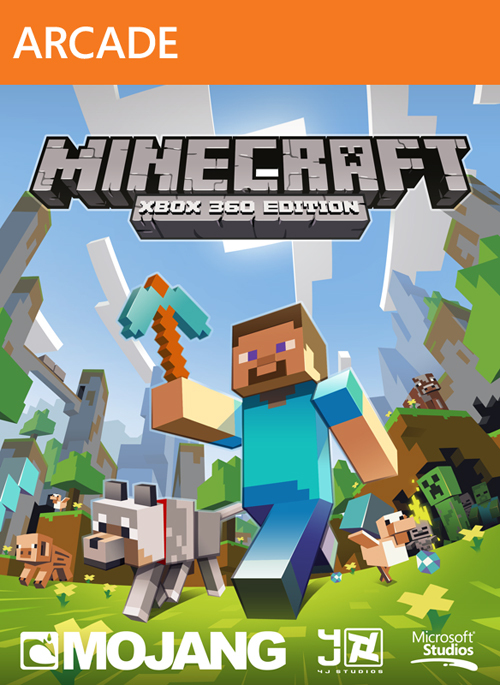 Minecraft: Xbox 360 Edition is a Xbox Live Arcade Game available on the Xbox Marketplace for 1600 Microsoft Points (US $20). It was officially released worldwide on the Xbox Live Arcade on May 9th and within 24 hours managed to sell over 400,000 copies and accumulate a 4.5 star rating from 400,000+ positive reviews. 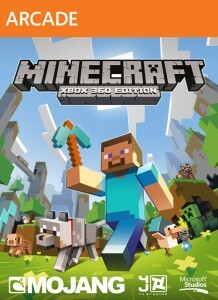 Developed by 4J Studios, the Xbox 360 Edition of Minecraft is built on what is essentially the Beta version of Minecraft on PC, so it does lack certain items and features found in the current PC version, sprinting and “The End” are the 2 most notable missing features. It is unsure if the game will be updated in the future to include these features. How Does It Differ From The PC Version? Well first off it’s built based on the older Beta version, so there are things like no Snow Golems and you don’t need shears. If you played Minecraft when it was in Beta on PC you kind of forget things like just having to punch sheep to get their wool instead of having to use shears. When you get hurt food instantly heals you too! The most obvious difference is the controller, and it takes some getting used to, but it’s completely do-able. If you turn up the sensitivity to something like 150% it feels pretty comfortable (at least in my opinion). The crafting is also very different, and is more similar to Terraria than Minecraft, being in a pre-set list of items you can craft as opposed to using the crafting grid system. In the Xbox version, crafting and inventory are accessed separately with the X and Y buttons. The worlds are small (not infinite unfortunately) but very beautiful. They are limited to the size of the map you are given when you spawn, but the invisible walls that prevent you from exploring further are all located in the oceans, as far as I can tell. The world creator generates a small square continent with a few islands to explore, and you always seem to spawn on a beach. Ah, nostalgia. Also if you’re interested in awesome seeds, the map generator seems to work on the same code as Minecraft PC generation from Beta 1.2 to 1.7, meaning epic seeds such as “gargamel”, “Glacier” and the famous “404” challenge work on Xbox. If you’re interested, I’ve started to compile a list of seeds. That’s okay too! Unlike the PC edition, the Xbox 360 version has a built in tutorial which will explain everything from placing blocks, crafting and mining, to surviving the night and building their first house. Split screen, need I say more? I bought the game as soon as it was released on XBL, and stayed up all night playing with my friend on split screen, so here are my impressions after a few hours playing (although I have been playing Minecraft on PC for years). My expectations going in were that I was going to be playing Minecraft on Xbox, nothing more, nothing less. So what happened next really startled me; I started getting nostalgic. The way the game looks and plays is just so different these days, it was really nice to go back to a simpler, cleaner version. It’s important to note though, that while part of this nostalgia was a great feeling, I couldn’t help but be slightly annoyed once I started to discover all the “missing features”. I’m not talking about little things either, major game changing stuff like hunger, sprinting, experience points, potions, jungles, ravines, abandoned mine shafts, etc. These features are huge game changers, and while the official word is that this content will be coming in a future update, no official release plan has been revealed. I’m going to delve a little more into these missing features, because apart from the things like hunger, which I’m sure we can all agree we can live without. There are a few things though, that do make it just that little bit more frustrating to play. One of which is the ability to change the difficulty while in the middle of the game. This functionality does not exist on the Xbox 360 version, which can make it troublesome to explore without having a million mobs following you for miles. You’ll feel it most when you die in a dungeon or somewhere deep and dark, when you have to run 10,000 blocks back only to meet 20 angry creepers all waiting for you to get back. Another slight annoyance is the fact that you cannot see your location with coordinates. Coming from the PC game it’s almost muscle memory at this point to press F3 if I’m going adventuring or if I’m trying to make a building perfectly cube without manually counting blocks. For some reason though you cannot see your coordinates on-screen on the Xbox, making large construction projects severely more difficult to deal with. Now hold on to your hats because this one is a real head scratcher. Ready? 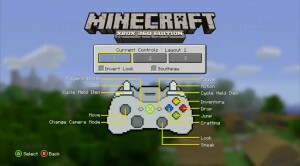 Minecraft: Xbox 360 Edition has NO creative mode. I just cannot even begin to comprehend as to why there is no creative mode. Minecraft was originally made as a creative mode, and the love for it certainly hasn’t gone anywhere recently. While I can appreciate the want to do everything ‘legit’, sometimes you just want to fly around and make some giant pixel art, and not have to deal with mobs or any hostiles. Bigger maps would be nice too, but we probably won’t see those ever on this game, perhaps on the next generation of consoles, but with the hardware limitations of the Xbox 360 it would be impossible to have significantly bigger maps. There is also the fact that you cannot rent your own server, the only way to play multiplayer is to create one using a secondary piece of software. That isn’t exactly an option when on the 360, but being able to rent server space and store a persistent world for all your friends to play on would go a long way towards making the community more like what it is on the PC. The max players you can currently have is 8, and IMO this is just too low. In conclusion, I have really high hopes for this edition and am really looking forward to getting my friends and family to download this so we can play together. The complaints I have are the price (it is too high), and the fact that for this price there is a severe reduction in content when compared with it’s PC counterpart. Honestly though, if you have friends with crappy computers this is a godsend, I’m finally able to play Minecraft with all my friends, not just the ones with decent computers. If you’ve never played: Buy It! If you’ve played PC: Controls are awkward at first, but you get used to them. Worlds are small, but pretty. Crafting is more like Terraria than Minecraft. Have an awesome seed (for xbox only, sorry pc users! ), cheat or other tip you'd like to share? Use THIS FORM and if we like it, we'll publish it on the site!